Please scroll down for the 2018/2019 topics. Here we are in KS1 and its Autumn 2017. For the first half we put on our safari suits and head off to ……‘The Animal Kingdom.’ There aren’t many animals around Globe so where can we find some? We know! 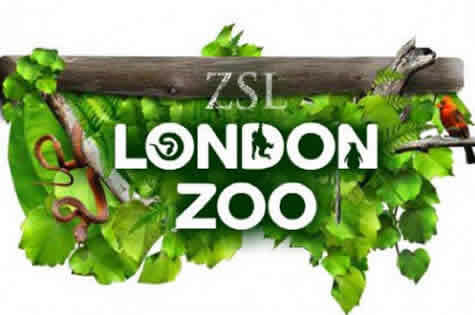 We head off to London Zoo in our second week back at school and here we learn about a wide range of amazing and beautiful animals and their habitats. Soon after that we head off to the Soanes Centre in Mile End where we search for mini beasts and pond life. Now that is much closer to Globe! We all have some snails in our classrooms and we watch them very carefully making note of how they change of time. Back in class we learn to Identify and name a variety of common animals, including fish, amphibians, reptiles, birds and mammals This is Science. We ask the question ‘Where do animals come from?’ and to answer this in Geography we use maps to locate where different animals can be found. We learn about different countries’ national animal as well as comparing the different types of animals that live in Kenya and Australia, thinking about the different habitats they live in. We will also learn about some animals that migrate and the route that they take. As we live in London, the Natural History Museum is close by, so of course we will be heading there to learn about the history of a variety of breath-taking animals. In Computing we are painters where we learn how to use painting tools to create and change images, painting lots of animals. When we are treasure hunters we program a programmable toy (a beebot, a very strange animal indeed!) to follow algorithms that we have inputted. We spend the first week of term thinking about ‘Being Me in My World’. We settle into our new classes, recognising when we feel worried and know who to ask for help. We create our Class Learning Charter and learn how to make our class a safe, fair and democratic place where we work together. In school this is called Personal, Social and Health Education (PSHE). In Art we learn how to make patterns using different lines. We learn about using lines to create tones and how to create line patterns in a doodle. We draw our own animals using patterns and focus on the work of the artist Julie Rhodes to inspire us. In Religious Education we learn about Christians and what they believe in. We read some Christian stories and discuss issues of good and bad, right and wrong, arising from these stories. We ask questions about believing in God and offer ideas about what it means. In PE we do Creative Dance. We explore the movement of different body parts, body shapes, body action and shape outline. Also we use the dynamics of strong and light music to tell a story. We also focus on gymnastics, developing body awareness when moving in different directions, pathways, speeds and levels. Each week we have two Music sessions, one where we learn to play the African drum and another where we focus on pitch and lyric writing. We really look forward to Black History Month and this is when we learn about Mary Seacole, explore what discrimination means and how Mary Seacole overcame it. So now the half term is finished and we get ready to head off on another journey, some where very different ..... Outer Space! Let's travel back in time to 1969 and watch Neil Armstrong walk on the moon! 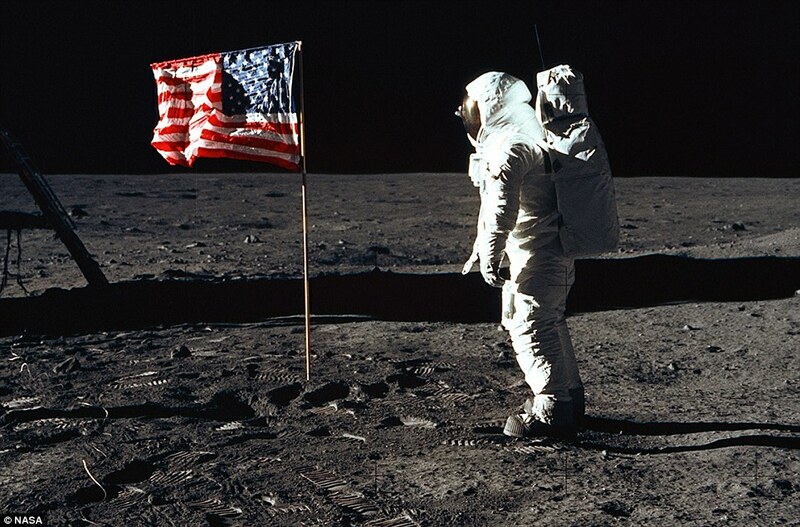 In History we learn about a significant indiviudals in the past who contributed to national and international achievements and the historical significance of the race to get humans into space and to the moon. This involves looking at the role of Neil Armstrong and studying his life. This happened within the context of the Space Race between the super powers of the time USA and USSR. We also learn about the first animals to go to space! Did you know that? In Computing we are researchers and we use the internet to help us find out facts about space. We then share our findings with others through a short multimedia presentation. In Design and Technology we learn to make a moving picture. We learn about sliders, pivots and levers and then use these mechanisms in our moving picture. I'm sure the moving pictures will have something to do with space; can you see the rockets zooming by? In Art we continue to learn how to use powder paint to paint. We learn about the primary colours and the powder paint names. We get to explore how to change the tone in colour without using white to make it lighter and use powder paints to paint a space scene in the style of Annette Cook. In PSHE we 'Celebrate Differences' which means we discuss and understand how some boys and girls are similar and different and accept that this is ok. We also learn how to stand up for ourselves and how to get help if we are bullied as well as thinking about what it feels to be a friend and have a friend. It's time for a break now! Let's invite our parents to school to see all the great learning we have done and of course to see the Christmas show, then we'll get ready for another Journey around the Globe in January! Spring is here and our suitcases are packed for a jaunt to a beautiful European country, Italy. Our passports are ready but we don't have anything to put them in. We will have to sort that out! We start off with Geography, learning where Italy is and learning that it is divided into regions. We use compass directions to describe the location of Italy thinking about the route that a plane takes from London to Italy. We compare different geographical areas in Italy, coastal and interior areas. In History we learn about a very significant event beyond living memory, the first aeroplane flight and how this enabled us to travel to different places easily, for example, flying to Italy. In Design and Technology we design, make and evaluate our own document holder. We learn how to join two fabrics together using different stitches. This will be handy to keep our passports in for future journeys around the Globe! To start our Art work we are off to the National Portrait Gallery to look closely at a variety of portraits as we need to learn how to draw faces and facial features accurately. Once we have improved our drawing skills then we will paint our own portrait on canvas. Our very own KS1 Portrait Gallery will be open for parents to visit. In Computing we film ourselves while making pizzas during our Italian Food Afternoon using Word or Movie maker. We also learn how to programme a toy. Each week Y1 continue to learn to play the African drum and Y2 learn to play the violin. In PSHE we express our Dreams and Goals. First we look at what makes us proud and what our strengths are. We think about how working with other people helps us to learn and we talk about how it feels to work as part of a successful group. We store these feelings in our internal treasure chest. In RE we learn about the religions of Christianity and Hinduism and ways that people who follows these religions show thanks. In PE learn a Folk Dance, Games and in Gymnastics we learn how to travel using; jumping, rolling, curling, stretching, twisting, turning and balancing. We love being Scientists and we can’t wait to learn about Materials and to help us we are off to the Science Museum where we find al sorts of information about materials and their properties. Easter has come so that means it is time to leave Italy, have a break with our families and then find out where we are off to in the summer term. Ciao! Ciao! Summer Term 2018 - The Seaside. To start off the year we go on our first learning journey and what a great place it is …….Storyland. In Storyland we read lots of traditional and well known stories such as Jack and the Beanstalk, Goldilocks, The princess and the Pea, The Gingerbread Man, The Three Little Pigs and lots more. Our book corners are full of these books inviting children to read, read, read. To get us started we have a theatre show in school where some actors bring these stories to life. In every class you will spot a Puppet Theatre with puppets of all shapes and sizes. We use them to tell stories but not only that we examine them in great detail because we learn how they are made. Our children design, make and evaluate their very own puppets and then use them to tell stories. Storyland needs lots of story characters! To inspire us we go to The Little Angel Puppet Theatre to see a puppet show in action. What does Storyland look like and where does everyone live? To answer that question you need something that is extremely useful on a journey, a map. We learn how to use and read simple maps and then we create our own map of Storyland. In Art we are still keeping our focus on stories because we learn how artists illustrate books. We look at the work of famous illustrators such as Quentin Blake and Mini Grey. Of course we do our own illustrations and focus on drawing with different grades of pencils. In Computing time we produce a talking book which everyone in Storyland will love to read and listen to. We also learn to find images using the World Wide Web. Storyland characters are even in our Music lessons and we learn about Pitch using Jack and the Beanstalk. We also learn to write our own lyrics. In History we learn about changes in living memory. We explore how technology has changed how we write – pens, typewriters, computer keyboards and tablets. We will learn about William Caxton and the printing press. If we are lucky we might go to visit the British Library where there is a copy a of a book that William Caxton printed. We have great fun using quills, ink and blotting paper to write. Everyone needs something to write with in Storyland! Writing is a huge part of our journey to Storyland. We create our own stories and retell well known stories but with a twist of course! Not everything we do is linked to Storyland! We also learn about Rosa Parks when it is Black History Month. Writing is a huge part of our journey to Storyland. We create our own stories and retell well known stories but with a twist of course! Our science topic is ‘Everyday Material’ where we learn lot about the properties of various materials and carry out lots if investigations. We spend the first week of term thinking about ‘Being Me in My World’. We will settle into our new classes, making sure that we feel special and safe in our new classes and that they are places for everyone to learn. We create our Class Learning Charter and recognise how it feels to be proud of an achievement. Later on in the term we Celebrate Differences which means we talk about the ways we are the same as our friends and the ways in which we are different and that differences make us special and unique. We try to understand what it might feel like to be bullied, how to be kind to children who are bullied and how it feels to make a new friend. We always have a special Race Equality workshop from the Chinwag Theatre Group this term. In PE we do creative Dance and Gymnastics. In Creative Dance we explore moving different body parts, explore body shapes, body action and shape outline. Also we will use the dynamics of strong and light music to tell a story. In Gymnastics we learn to move our body in different ways both on the floor and using apparatus. In RE we learn about different cultures and religions found around our world. We learn about Islam and Christianity in our topic What do we Celebrate and Why? In December our parents come to see everything that we have learned. They have fun hearing and reading our stories, playing with our puppets, following our maps and gazing at our gorgeous prints. It is sad to leave Storyland but exciting to go on another learning journey. Where next, we wonder? Next we head off to China, a wonderful land with so much to experience and explore. It’s time to learn about a country that is not in Europe. We head off to the capital city of China, Beijing. In Geography we learn where China is by using world maps, atlases and globes. We learn to name and locate the world’s seven continents and five oceans. We always have a world map in our classroom to help us remember these places. We learn where the North and South Poles are as well as the Equator. We use words such as city, town, village, factory, ocean, river, sea and weather. We find things that are the same and are different to where we live in London to Beijing. In Design and Technology we learn where some food comes from. We grow some of our own vegetables in science. We learn how to cook a healthy stir fry using some of our vegetables and learn about some other types of vegetables that are used in Chinese cooking. We visit London’s Chinatown and buy some food from the Chinese shops there. We also watch a Chinese chef in action so that we can pick up some cooking tips! In Art we focus on patterns and printing, making our own prints. We take part in a project with the British Museum and learn about the Chinese artist Wuon-Gean Ho. In Computing we do two topics. Topic 1, 'We are Collectors' where we find, sort and use images from the Web. We learn about what to do if an image causes concern. We are also 'Storytellers' and we produce a talking book learning how to record sounds. In Music in the first half of the term we learn about sounds and listen to and performing ‘Gung Hey Fat Choi’ (Chinese New Year) and ‘I Am the Music Man’ with different instruments. In the second half of the term we learn about pulse and rhythm. We visit a show all about Chinese New Year at the Polka Dot Theatre which is a real treat for everyone. We write lots about China and you will be able to read our fantastic travel guides which will definitely persuade you to visit China. Not everything we do is linked to China! In PSHE we will be learn about being healthy and what that means. We learn how to relax when feeling stressed, how medicines work and how to use them safely as well as how to sort food into the correct food groups. In PE we learn a Folk Dance and Play Games. In Folk Dance we hear and use folk music from the four countries of the United Kingdom and learn simple dance steps. In Games we develop our throwing and catching skills, bounce passing, overhead passing and dribbling a ball as well as practicing our kicking skills. We play collaborative games in small groups using the skills we have learned. In RE we learn about sacred places and visit a synagogue. We reflect on how special sacred places are in our own lives and those of others. In Science we learn about seasonal changes and the impact this has on animals and plants. We look carefully at animals, exploring their characteristics and classifying them. In April our parents come to see everything that we have learned. They watch our dragon dances, marvel at our dragon creations, read our guides to China and sample some of our Chinese cookery. We had a great time in China but think it’s time to spend a bit of time closer to home now! To finish off the year we travel back to a much loved place, our city, London where we explore the history and all that London has to offer. We think we already know lots about London but there is so much more to learn. First off we head off on a Thames River Clipper to go and see the key London attractions which will be lots of fun. We stop of and go into the Tower of London. Give us a wave if you see us! We photograph and draw these places in our Travel Journal. Back in school in our Art lessons we paint one of the famous London landmarks we visited, photographed and sketched. We are learning how to take photographs in Computing so this fits together nicely. We learn about Claude Monet, a very famous French painter who visited London and painted ‘The Thames below Westminster’. Later in the term we also visit the Museum of London. In this topic we will be doing lots of Geography. We learn how to devise a simple map. This will be a map of our local area, our part of London. We learn how to use and construct basic symbols in a key. As well as that we use world maps, atlases and globes to identify London, the United Kingdom and its four countries. We learn the capital city of each of the four countries of the United Kingdom. We use aerial photographs to recognise London landmarks and basic human and physical features. We will definitely be able to find the river Thames! There was one event in London’s History that we all need to know about …… the Great Fire of London. This was a significant event in our locality. Samuel Pepys and his diary helps us to understand what life was like in London when this fire happened. In Design and Technology we have lots of fun designing, making and evaluating our own form of London Transport using wheels and axles. Will it be a London bus, an underground train, a Docklands Light Railway Train or a Boris bike? 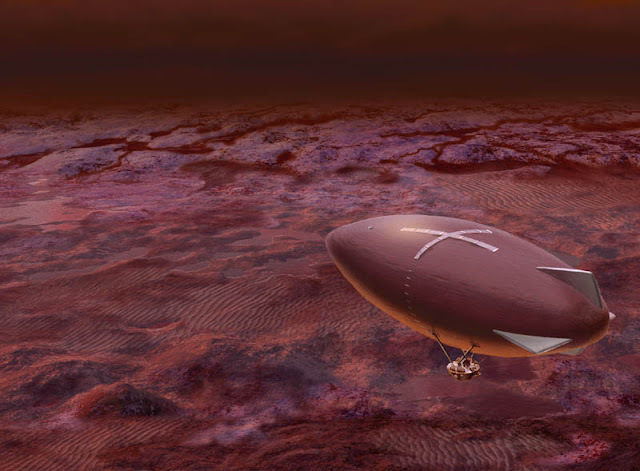 Maybe we can invent our own new form of London transport! A trip to the London Transport Museum in Covent Garden is a must before we start our own designs. In Art we focus on using powder paints and different paintbrushes for different effects. Our artist study is Monet and we will look closely a his famous paining 'Thames below Westminster'. In Computing we become 'Astronauts' where we learn how algorithms provide a set of instructions and convert algorithms to programs. We also become 'Detectives' learning how to search the Internet and develop a short multimedia presentations. We write loads during our visit to London. We pretend that we are Samuel Pepys and write our own diaries. We persuade people to come to London by writing leaflets, posters and booklet, telling them how great London is. As usual not everything we do is linked to London! We have two Science topics in this term. The first is called ‘The Apprentice Gardener’ and the second ‘Take. So by the end of term we will have learned lots about plants and growing as well as how to keep our bodies healthy. In Music we learn about basic graphic score and rhythm grids. In the second half of the term we will learn that notes are called letters by using a glockenspiel. In PSHE we learn about relationships and understand that there are different types of families, what is a good friend and to recognise personal qualities. In PE we do Outdoor and Adventure Activities and Athletics. In Outdoor and Adventure Activities and Athletics we learn pre orienteering skills by doing walking activities and outdoor challenges. In Athletics we will run a distance and learn sprinting, relay, jumping, throwing and hurdling skills. In RE we learn about how different religions welcome a new baby and why these celebrations are important. In July our parents come to see everything that we have learned. They enter our art gallery and appreciate our paintings of famous London landmarks, they marvel at our transport inventions and learn what life was like in London as the time of the Great Fire of London.